The battle for supremacy between Flipkart and Amazon in the Indian e-commerce market is well-documented, and not about to cool down any time soon. On one hand, Flipkart dominates the Indian market by the virtue of its deep-rooted presence, while Amazon relies on the deep pockets from its international business and decades of sales and distribution nous in an attempt to topple the domestic incumbent Flipkart. Flipkart seems to be unaffected by Amazon’s immense financial acumen and its vast expenditure on marketing. 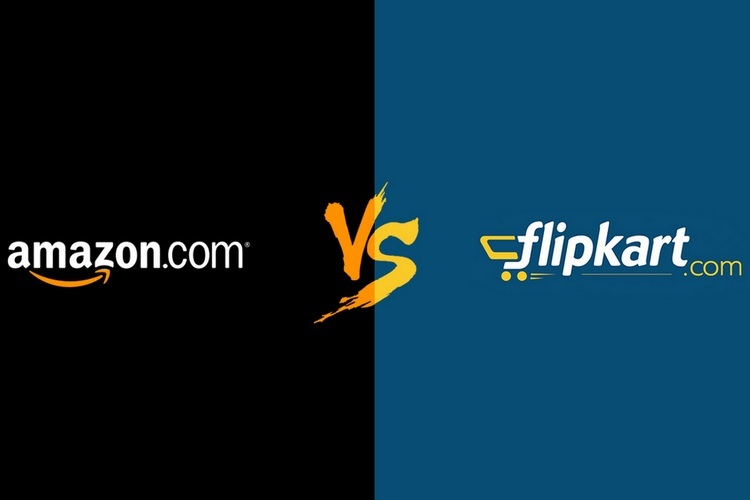 Addressing this issue, Flipkart CEO Kalyan Krishnamurthy has revealed that despite Amazon India’s cash-burn being 300-400% higher than Flipkart’s, the Jeff Bezos-led company still lags behind Flipkart by a significant margin. Krishnamurthy’s veiled remark was aimed squarely at Amazon which has spent almost $2 billion since kick-starting its operations in India, out of which, $1 billion was burnt in promotional tactics in the previous fiscal year alone. But Flipkart has accomplished much more than just minimizing its cash burn, as the company’s monthly active customer base has grown by 75-80% on an annual scale. Krishnamurthy further highlighted that despite all of Amazon’s efforts to woo customers through promotions and discounts, Flipkart commands a disproportionate amount of market share in India. From a growth point of view what we will want to achieve is customer count growth and the velocity of transactions, frequency of transactions, etc. That’s the growth which we will focus on. Krishnamurthy went on to highlight that Flipkart is no longer focussed on metrics like Gross Merchandise Volume (GMV), instead, the company’s attention is centred around increasing its active customer base to leave Amazon far behind. And taking into account the recent multi-billion dollar wealth injection from SoftBank in Flipkart’s services, Krishnamurthy’s claim does not seem overly ambitious.